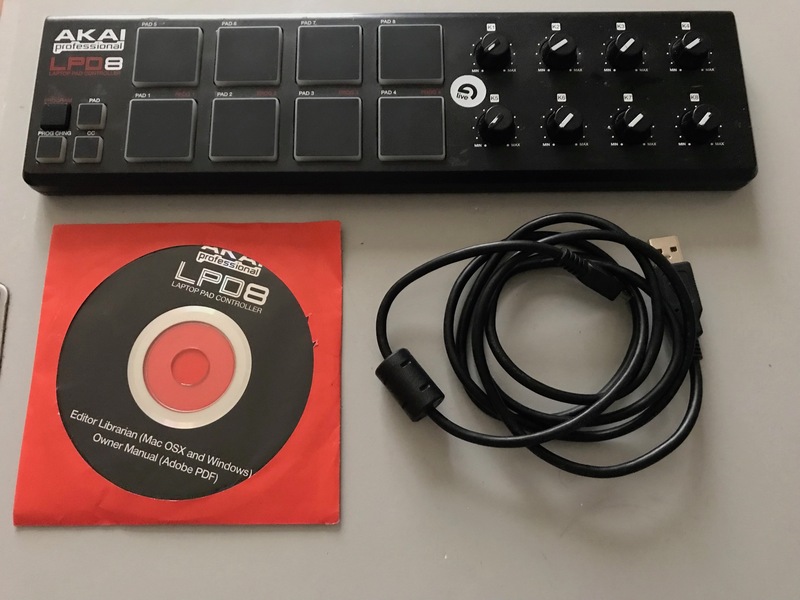 LPD8, Other MIDI Controller from Akai. PriXL's review (This content has been automatically translated from French)" Practical, high quality"
I have the machine for 2-3 years. I quite uses mpd and apc. 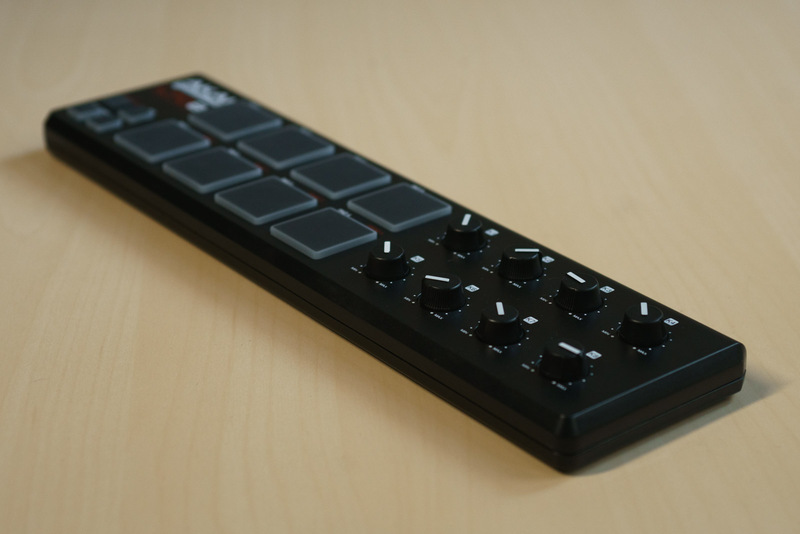 It is a practical tool, its small size allows it to carry around everywhere, and it is a good complement for particular live (I used to run my samples to scratch on my plate, or to launch effects). According to dial is another thing, the pads are not necessarily useful for me, but they are quite responsive to what I could try. In the studio he can fill the holes depending on the hardware you have. Small bonus, the pads have a bright orange contour lights on when support is gadget, but it can take effect. Negative point, the size of the knobs is a bit small, which sometimes complicates the grip, but it is possible to change them. 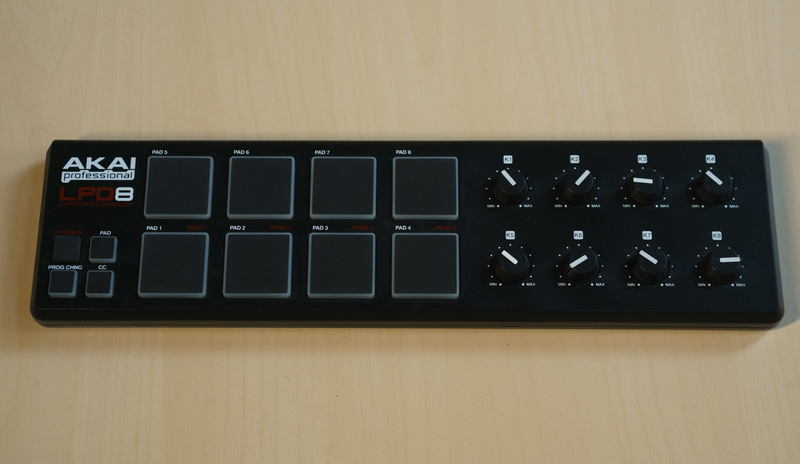 The price is clearly affordable, but it is not essential tool, I buy for myself as a backup machine to complement my keyboard or add missing knobs CPA 20. 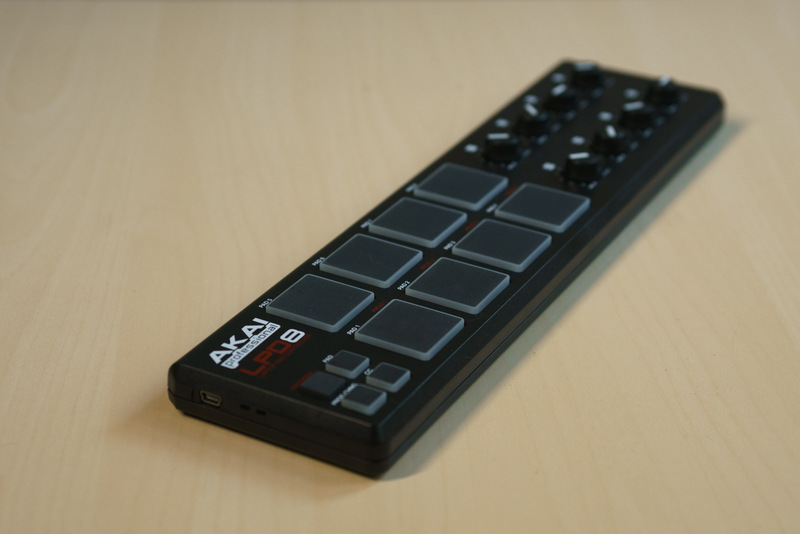 I do not know if I would do this choice, not for the quality of the material, but its lack of use in my home studio. bazzzoukk's review (This content has been automatically translated from French)" Great Pads"
My problem was to play finger very precisely supplements driving rhythms DHS Sonic Core and sounds of madness, and save them in DAW, so I wanted very reactive pads, instant. I play the djembe and darbuka, so it has to follow. 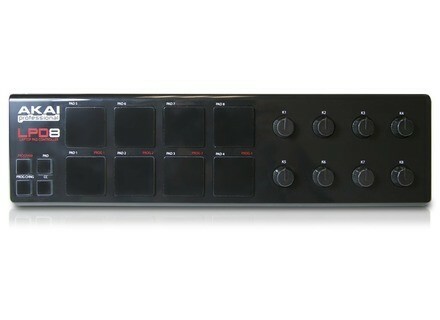 Already have several DAW controller, the knobs and sliders other dedicated I was not interested. The LPD8 fulfill all these conditions, his pads respond excellently, very fast, accurate on the velocity and firepower. For € 38 and 1 year warranty, what can one want more? The construction is solid and I broke out like crazy. This is an excellent complement when did want to play a machine without breaking the bank. For less, changes in banks are zero, completely ornate, at least 4-5 seconds manipulation is unusable on the same track, so you must tell the DAW that cares. But if you work like me in successive recording layers, it does not matter. Anonymous 's review (This content has been automatically translated from French)" Easy to use for beginners mao"
I use it for 1 years & 6 months every day. I do everything with love, played drums with Steinberg Cubase Elements 6 & Magix Music Maker 2013 Magix Music Maker Premium & 2014. How would you rate the quality: Very solid, practical, easy you use, simple ... ect. Price: cheap at all: 49 Euro. I referiz my choice my Akai. Thank you & Thank You to Akai & Audiofanzine on. LooLoo13's review (This content has been automatically translated from French)" A killer I tell you!!"